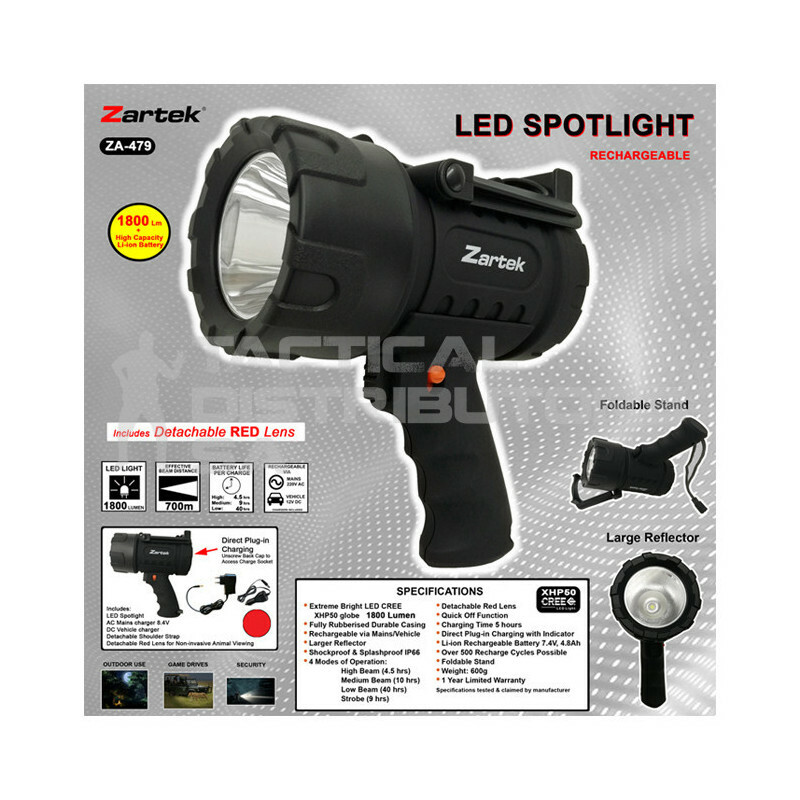 Description Zartek ZA-479 1800 Lumen LED Rechargeable Spotlight with a foldable stand and 4 modes of operations. Features Mega Bright Spotlight, LED, 1800 Lumens, Rechargeable, Mains Vehicle Charger, Detachable Red Lense, Fully Rubber. Package Includes 1 x Mega Bright Spotlight, 1 x Mains Charger, 1 x Vehicle Charger, 1 x Detachable Red Lense.